With social development, in mining industry, people not only demand high for production capacity of crushers, but also attach an increasing importance to energy utilization, product size, maintenance cost, after-sale service and other requirements. LIMING HST single-cylinder hydraulic cone crusher is born to satisfy the above requirements. It combines mechanical, hydraulic, electrical, automation, intelligent control technology into one set. Compared with other secondary cone crushers of the same size and specification, HST cone crusher can input more power and provide greater crushing ratio and through capacity due to optimized strength design. The crusher applies laminated crushing principle not only to improve product shape, but also to enhance crushing production and efficiency. 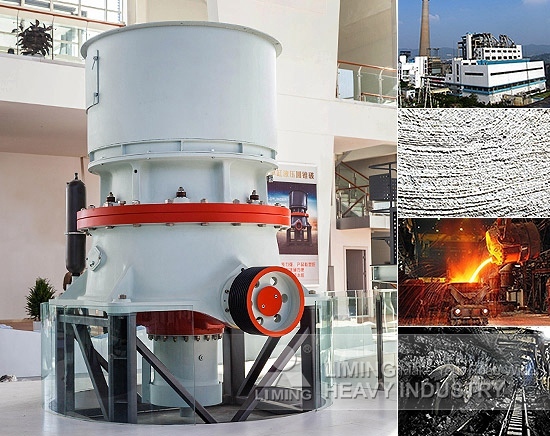 HST cone crusher is widely used for secondary crushing, fine crushing and extra fine crushing in such industries as metal and non-metallic ores, cement, sand making, metallurgical, etc. Besides, it is most suitable for crushing all kinds of ores and rocks like iron ore, non-ferrous metal ores, granite, limestone, quartzite, sandstone, cobble, etc. For more information, please contact with our online service, and we will serve you wholeheartedly. <<Previous：What is the best equipment for mechanism sand? <<Next：What’s the most suitable crushers for crushing pebbles?